The Residences at Dream is a luxury condominium in Pattaya that has been developed by Wise Power Land, under the guidance of renowned international architect Eric Lai. 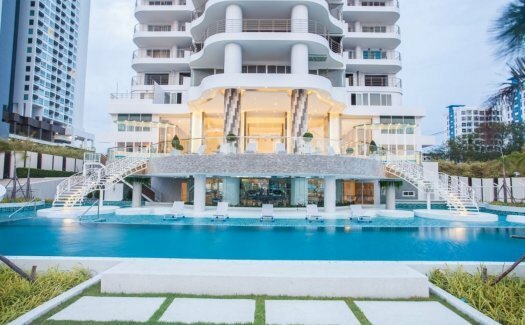 This exquisite development, located in Na Jomtien, Pattaya, is right on the beach redefining the standards of what a Pattaya luxury condo needs to be. All 165 units of this luxury condominium in Pattaya have an absolute panorama ocean view of the Pattaya Bay, which gives their owners great relaxation and privacy. All our luxury condominiums are ready to transfer and move in. It will be very difficult to find a condo for sale in Pattaya that shares these incredible qualities. 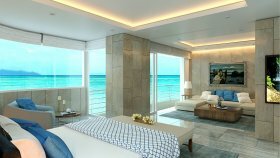 The Residences at Dream has been developed on 10 Rai (16,000 sqm) of true beachfront land. 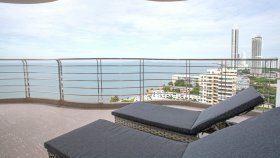 This Pattaya luxury condo rises to the 36th floor including The Penthouse. Each floor has five luxury rooms overlooking the ocean. 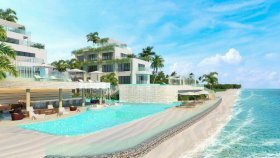 The Residences at Dream Pattaya is a condo project developed by The Residences at Dream, and contains 165 total units, Units range from studio to 3 bedroom. 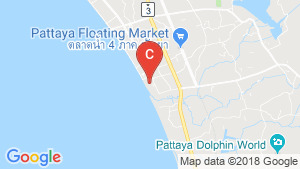 The Residences at Dream Pattaya at Na Jomtien, Sattahip has the following facilities: cctv, fitness, garden, parking, playground, security and swimming pool. There are 9 condos for rent in The Residences at Dream Pattaya available from ฿40,000 to ฿85,000 per month (based on 1 year rental term). The Residence at Dream Pattaya. Thailand condo for sale in the “The Residences”, Na Jomtien C6486. Luxury high-end condo close to Jomtien Beach!. Luxury 2 bedrooms condo in Jomtien. Pattaya apartment for sale or rent in Na Jomtien GKP-C002404. Thailand condo for sale in "The Residences @ Dreams”, Na Jomtien C6663. Dream Condominium Na Jomtien with great ocean views. Apartment for sale in “The Residence@dream Pattaya”, Na Jomtien C5931. Thailand condo for sale in “The Residences”, Na Jomtien C6488. Apartment for sale in “The Residence@dream Pattaya”, Na Jomtien C5926. Apartment for sale in “The Residence@dream Pattaya”, Na Jomtien C5928. Two bedroom Na Jomtien condo for sale or rent in La Royale complex. Pattaya condo for sale or rent in the Na Jomtien, La Royale complex. Breathtaking north facing sea views from this Pattaya Property. Large Pattaya condo for sale or rent in La Royale complex, Na Jomtien. 1 bed condo for sale in Jomtien, Pattaya with Pool, Sea View | Unit ID: PA-13933 | FazWaz. 2 bed condo for sale in Jomtien, Pattaya with Sea, Residential / Building, Green View | Unit ID: PA-9245 | FazWaz. 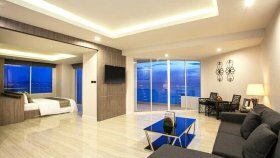 Luxury direct beachfront condo Jomtien. Designer 2 bedroom sea view corner unit..
Beachfront sub-penthouse with spectacular views. Beautiful beachfront condo in Jomtien. 2-bed condo with great views. 3 bed condo for sale in Jomtien, Pattaya with Sea View | Unit ID: PA-4615 | FazWaz. Condo for rent in Jomtien. Condo For Rent in Na Jomtien Pattaya Fully Furnished.